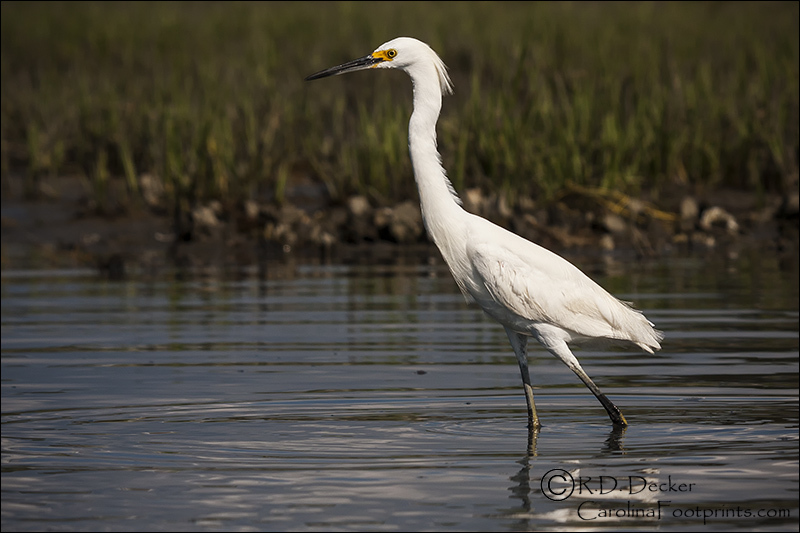 I enjoy finding these birds when I’m out doing shorebird photography from kayak. 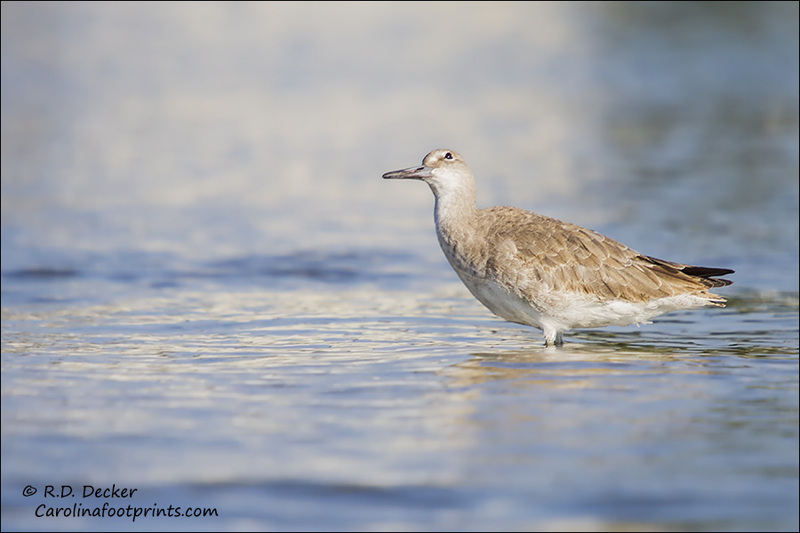 One of the larger shorebirds, these are migrants. 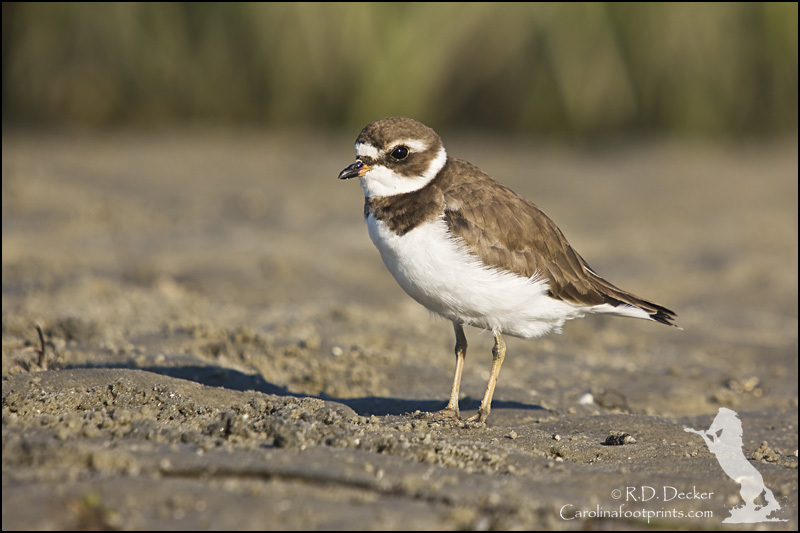 They travel to Canada for breeding in the Spring then winter in warmer climates… including the North Carolina coast. 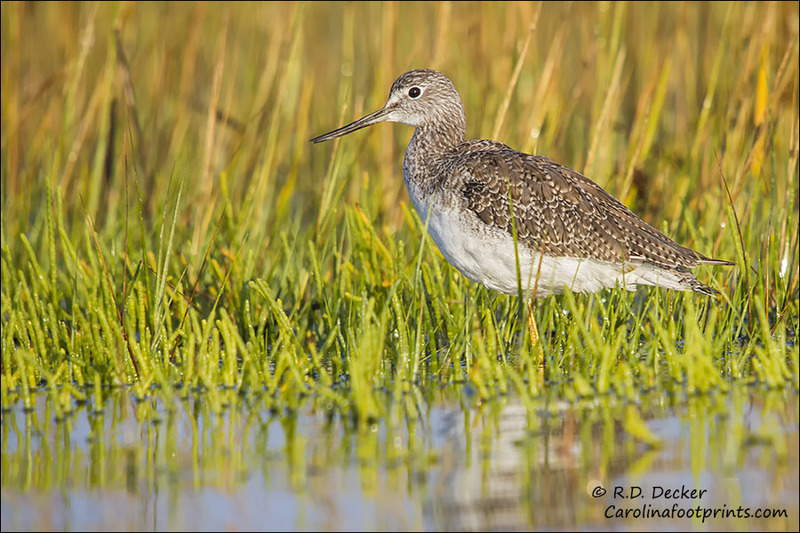 A somewhat similar looking and named bird, the Lesser Yellowlegs, is difficult to tell apart unless you find them together. 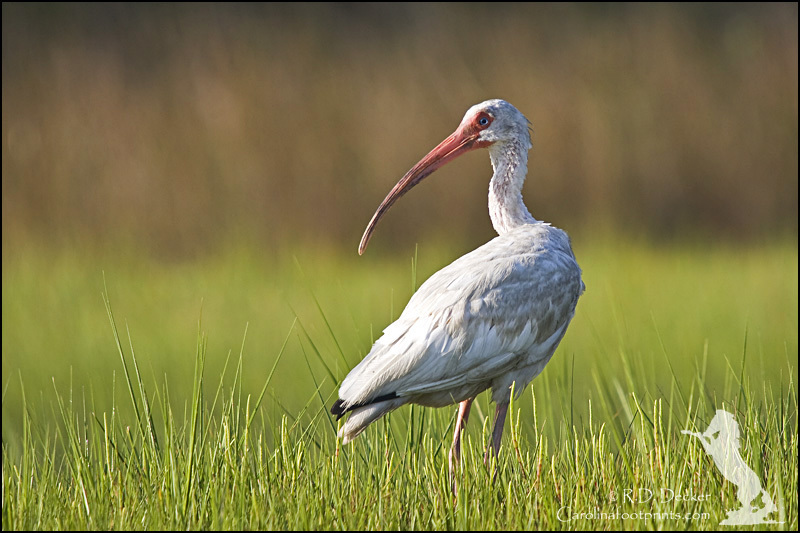 The Greater is larger, has a slightly upturned bill that tends to be blue-gray near its base. 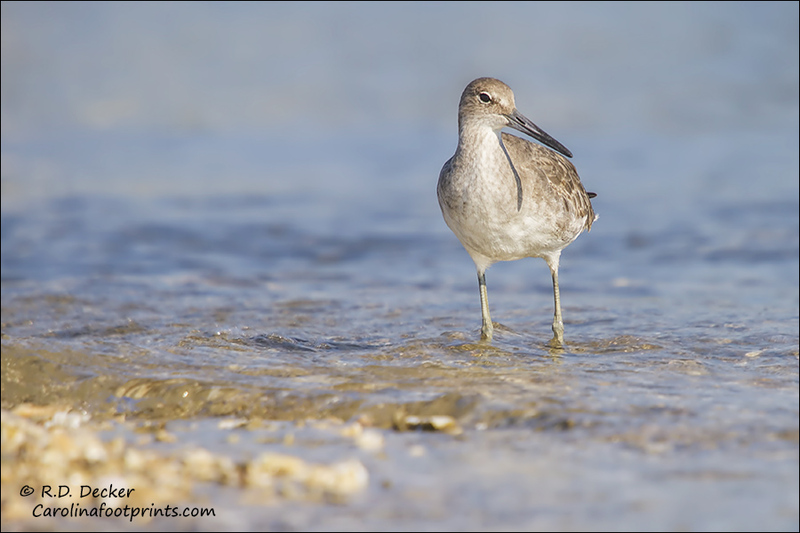 For shorebird photography I like to work from my kayak. 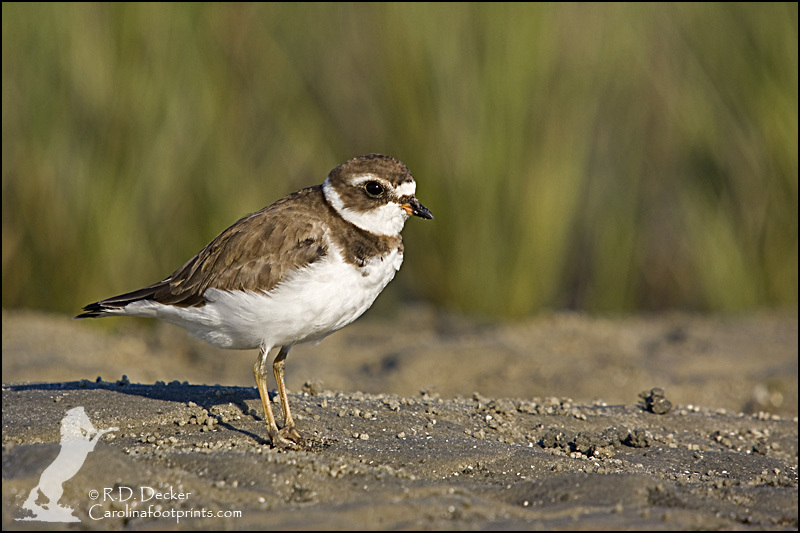 Even though I’m approaching from the water, these birds can be a little skittish… ok, most shore birds can be a bit skittish… so a slow, careful approach is called for. The best bet is if you can let the wind and/or current drift you into camera range. If you need to paddle you need to keep the paddle movement to a minimum. Don’t make a direct approach of the bird is bound to take to wing. 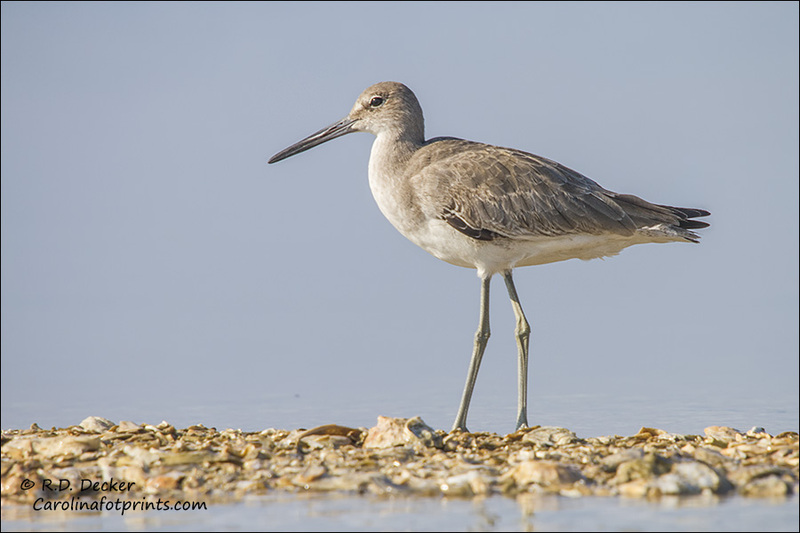 Making photographs of small shorebirds from a kayak requires a long lens and hand holding rather than using a nice, sturdy tripod. The combination of a telephoto lens and hand holding the camera sets up a bit of risk of camera shake and motion blur. 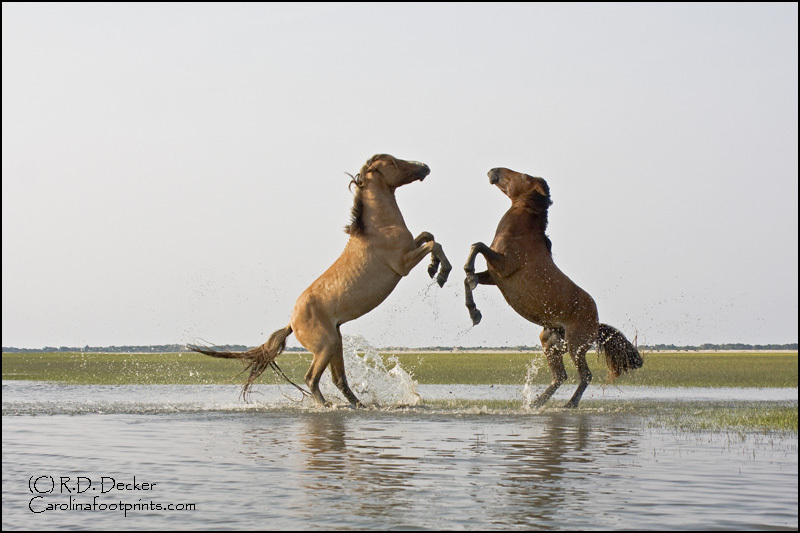 The trick is to keep the shutter speed fast to minimize the effects of this problem. 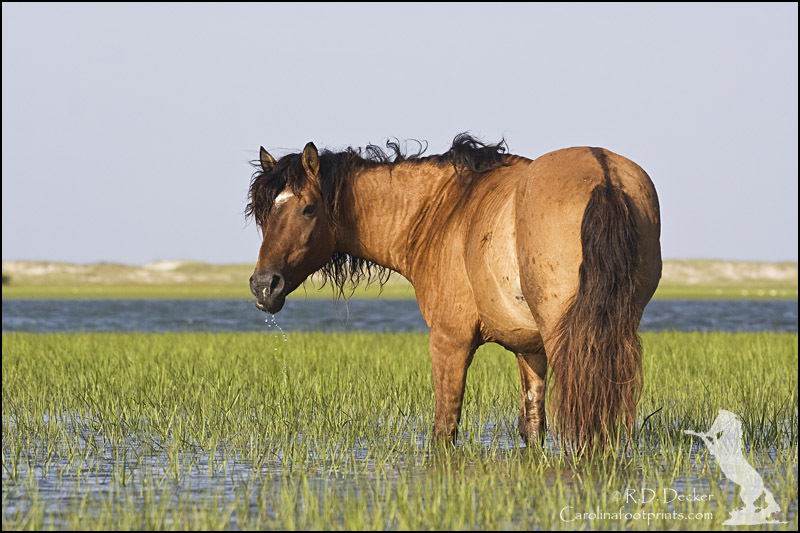 Many folks that visit the wild horses living within the boundaries of the Rachel Carson Estuarine Reserve or the Cape Lookout National Seashore don’t get to see the horses swimming between islands and shoals. If they do it’s often from a distance and seldom provides a chance for the viewer to photograph them. 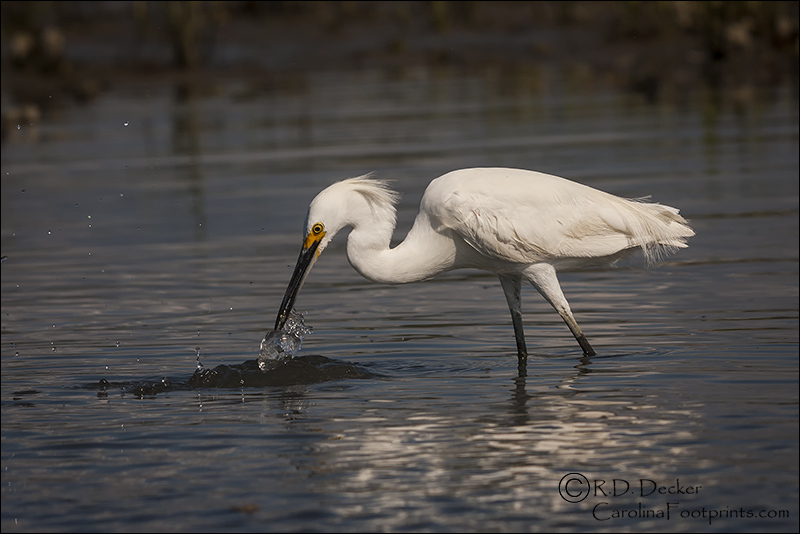 To get these kins of shots you usually need to be working from either a boat or a kayak. 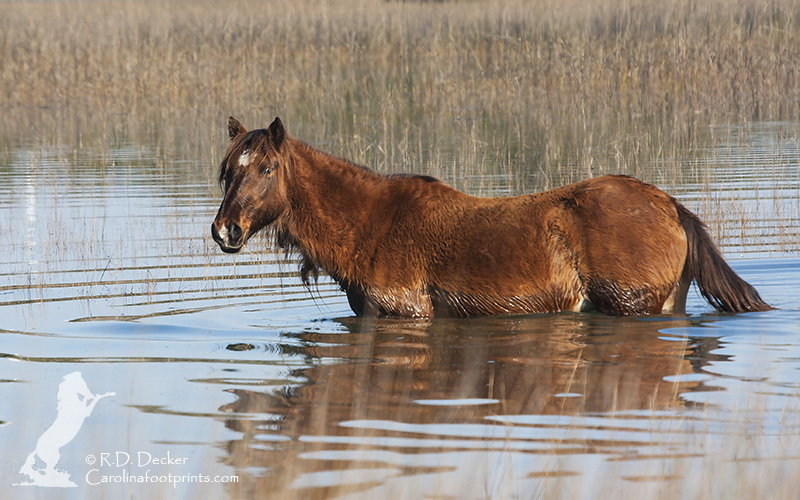 This is one of the reasons I’ve arranged for participants to spend one day working from a boat during the 2013 Wild Horse Photo Safaris. You can learn more about these tours by visiting the following page: http://carolinafootprints.com/index.php/workshops/. Below are a few images taken this winter. 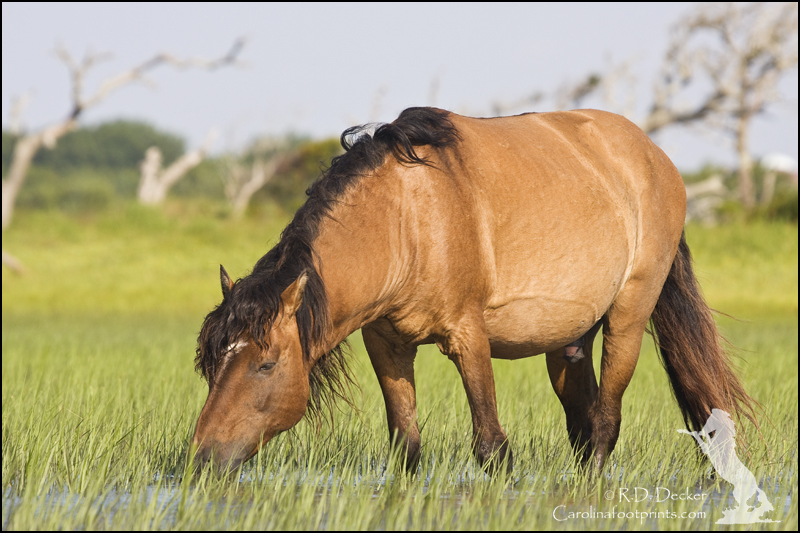 I launched my kayak one morning last week and it was a perfect morning for photographing the wild horses of the Rachel Carson Estuarine Reserve from a kayak. 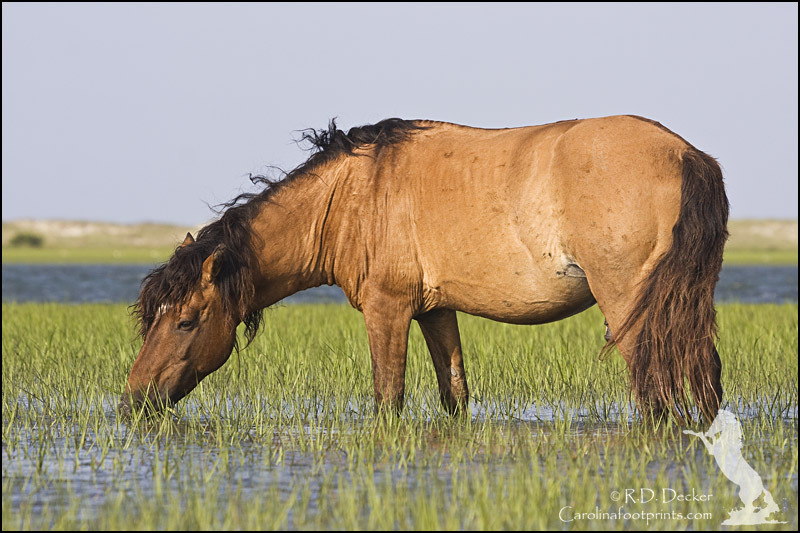 These majestic animals were out feeding on the flats at a time that the water was high enough for navigation with a kayak. I always love the low perspective gotten by making photographs of these large animals from the cockpit of a kayak. 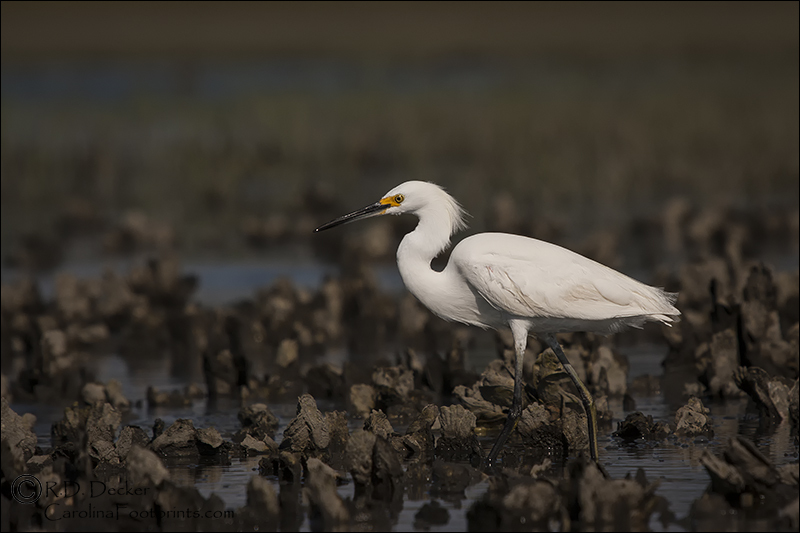 Below are a few of the images from the morning’s adventure. I loaded up my kayak and paid the reserve a visit a few mornings ago. As is usually the case, my efforts were awarded with plenty of photography opportunities. 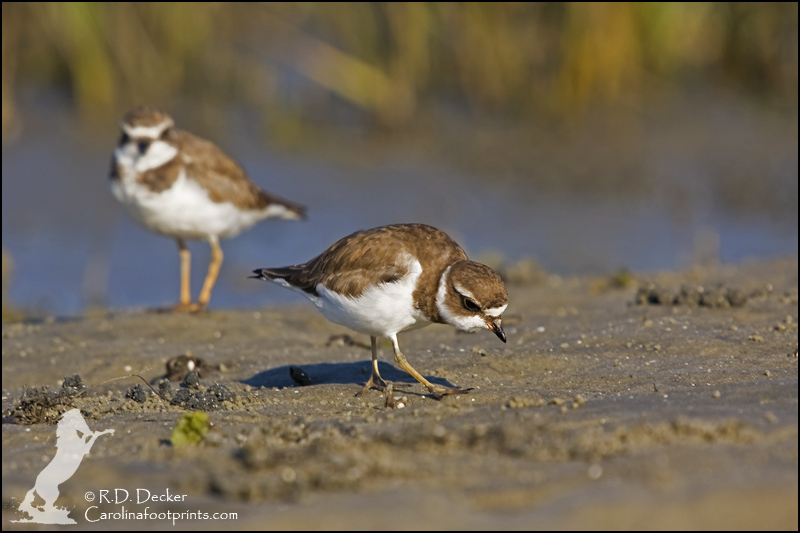 I found these plovers feeding along mouth of Deep Creek, the entrance into the tidal flats. 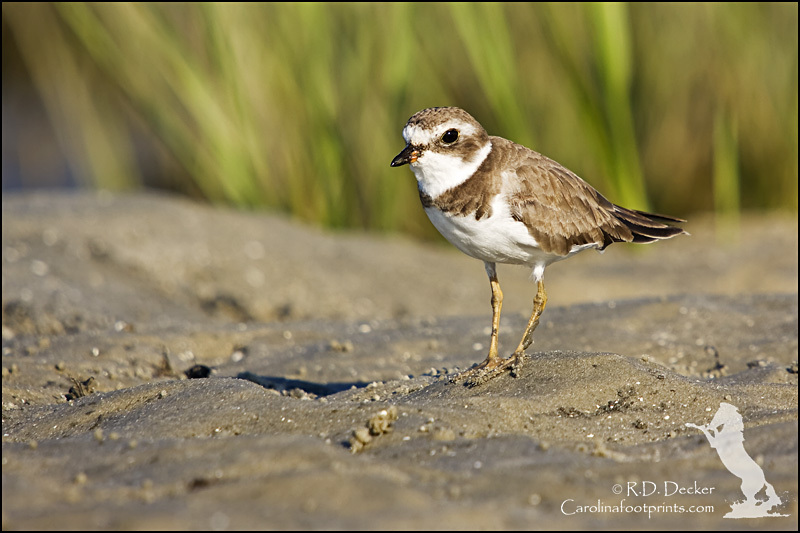 These small birds are a joy to watch and a challenge to photograph. They tend to be more than a little suspicious of anything approaching them. 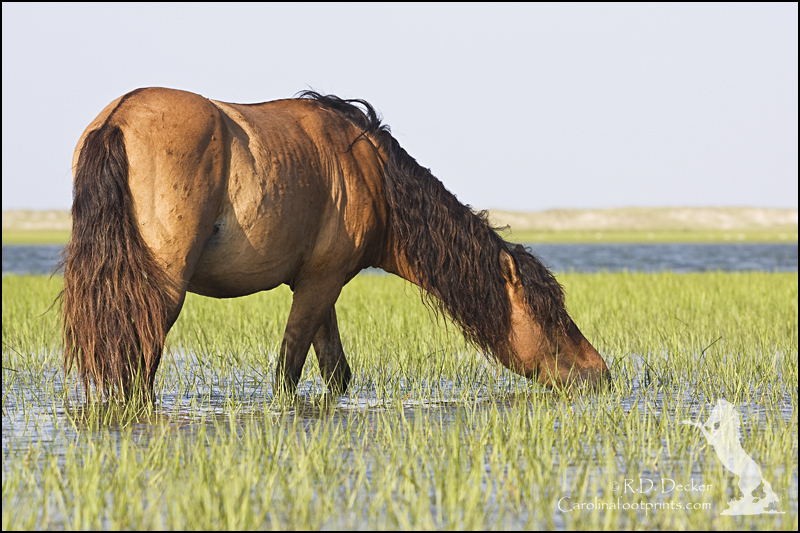 Getting close to them, however, is easier from the water than from land. Such is one of the benefits of using a kayak for photography. Here are a few shots from the encounter. A Tough Shot from a Kayak! 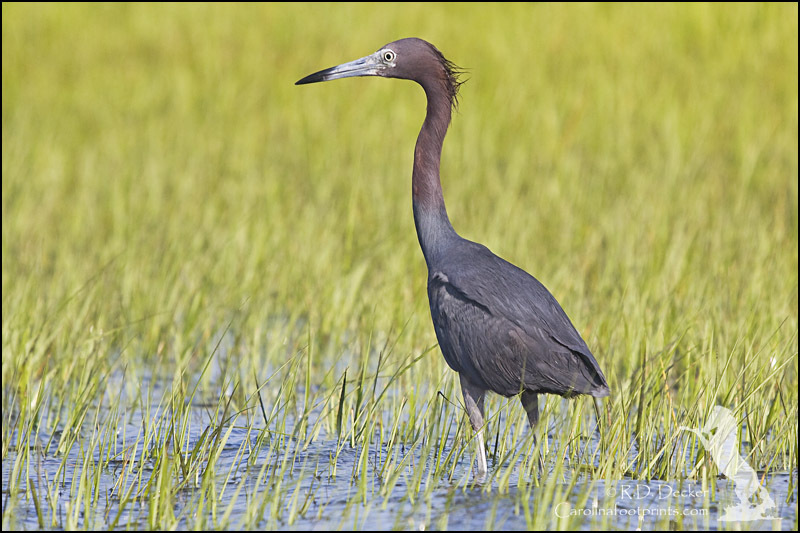 I launched my kayak last Saturday afternoon with the goal of paddling into a blackwater swamp and sitting for a while in hopes of getting a shot of a Prothonotory Warbler. It was suppose to rain that hint and all-day Sunday. As I started my paddle the wind was starting to pick-up and I could see clouds building off in the distance. 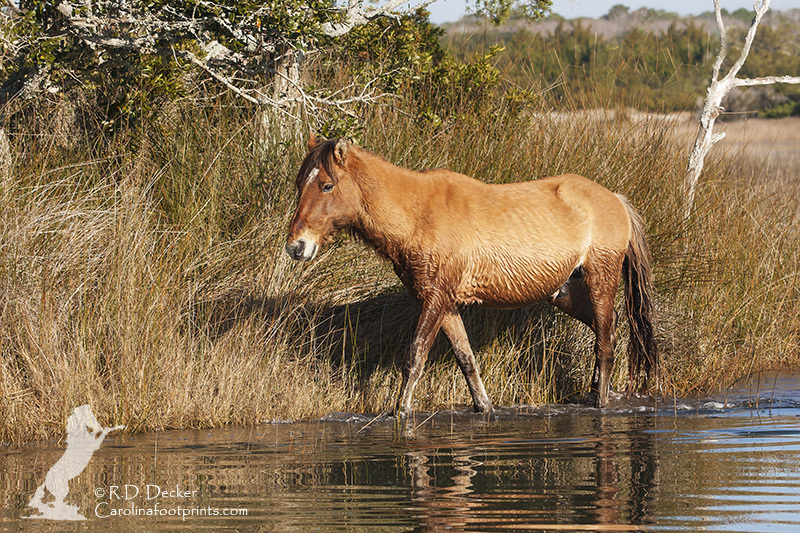 I made it into the swamp as planned but my stay was cut a bit short as light was fading quickly because of the increasing cloud cover. Finally I realized it was time to head back to the ramp or risk a return trip in total darkness. 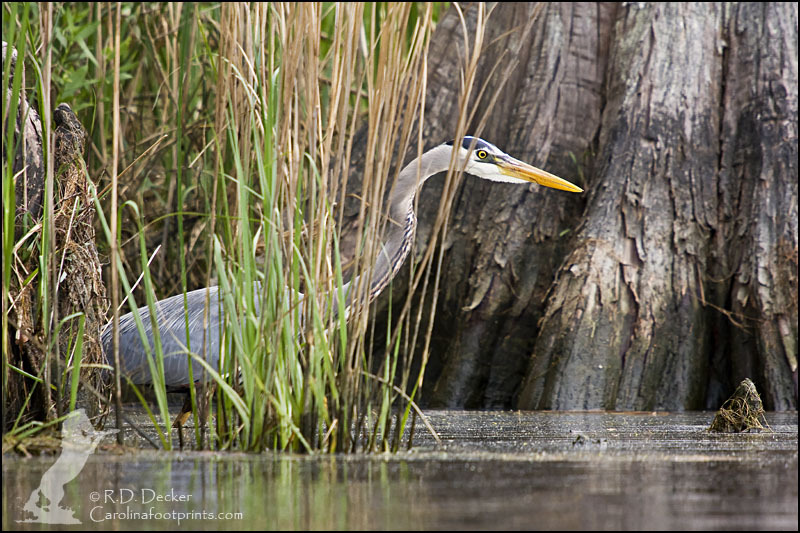 As I made my way to the ramp I noticed a Great Blue Heron feeding along the river bank. It was a picturesque location and certainly was worth an attempt at getting a shot. The challenge was going to be getting a useable shot. In the dim light getting a shutter speed that would be fast enough to make a sharp image was going to be tough. I started cranking up the ISO, going all the way up to iso 1250! A high setting like that would almost insure a lot of noise in the resulting image. Checking my exposure settings, even at that high ISO setting, my shutter speed was going to be less than 1/100 of a second. That’s much too slow to insure a sharp image when hand-holding a 500mm lens. In order to get to a faster shutter speed I opened my aperture up. I know this lens and this lens is at its sharpest at around f/8.0. Opening the aperture wider than that can result in images that a bit soft. I ended up compromising, choosing an aperture of f/7.1. That got me a shutter speed of 1/125 of a second. A speed still much slower than the theoretical minimum target of 1/500 of a second for hand-holding a long lens like this. Considering I’m shooting from a kayak on choppy water and ideally I’d have a shutter speed closer to 1/1000 of a second! In these lighting conditions this was the best I was going get, 1/125 at f/7.1 and iso 1250. I tried to steady myself, holding as carefully and steady as possible and squeezed off a few shots. Honestly I was optimistic about what I’d find on the memory card. When I got home I unloaded and stored the kayak away, put the camera up and spent some time visiting with my wife. I didn’t even bother to check the images for several days. I knew the odds of getting and image that was even suitable for use on the internet were pretty low. Much to my surprise there was a fairly decent image in the series. Was it perfect? Not by a long shot but the noise wasn’t too bad and it was reasonably sharp. A little post processing work in photoshop include a touch of noise reduction resulted in a fairly pleasing image. Sometimes conditions are tough. When you understand the limitations of your equipment it’s easy to convince yourself to not even try to make and image in some situations. Personally I think it’s always worth the effort to give it a try. You probably won’t get anything for the effort except the comfort that you gave it your best shot. Then again, sometimes you get lucky. Below is the image described above. 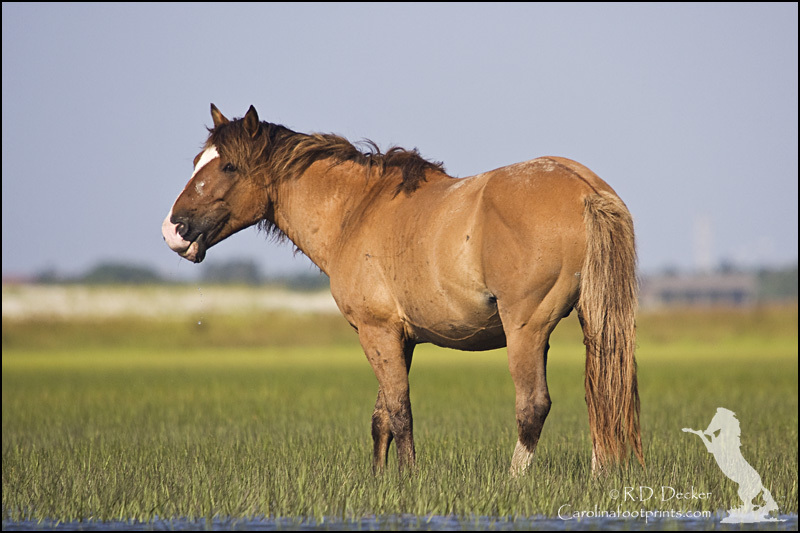 The May 19 & 20, 2011 Wild Horses of the Crystal Coast is now Sold Out. There is still space left in the June 23, 24 2011 workshop. 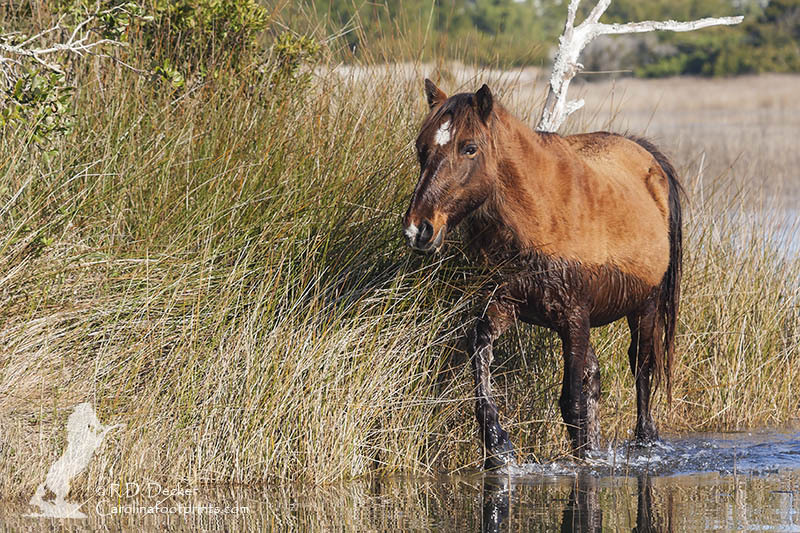 If you’ve been wanting to join me for a wild horse adventure don’t put off booking your space. These workshops tend to fill-up very, very quickly. For more information on my instructional offering visit my workshop page. If you enjoy the photos you see on this site you may want to consider purchasing my “Introduction to Kayak Photography” eBook. Many of the images that you’ve been enjoying are made from my kayak. 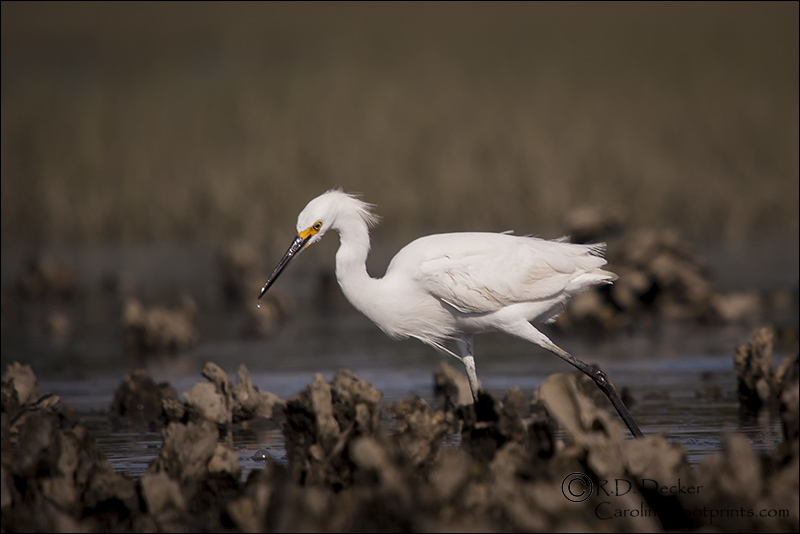 Kayak’s are a wonderful tool that allow you to be up close and personal with many kinds of wild life. 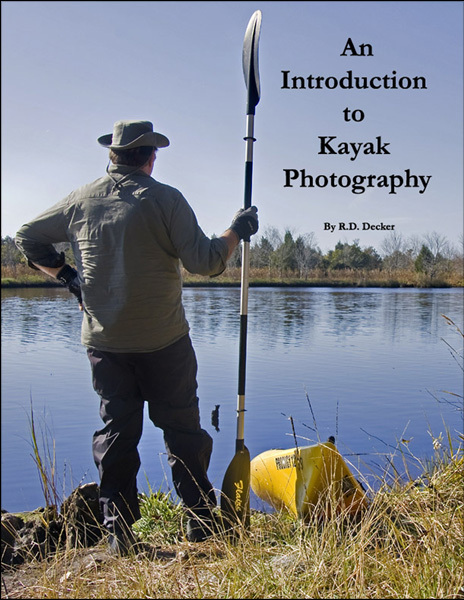 Now available for instant download, my “Introduction to Kayak Photography” is a basic guide to using kayaks for nature photography. 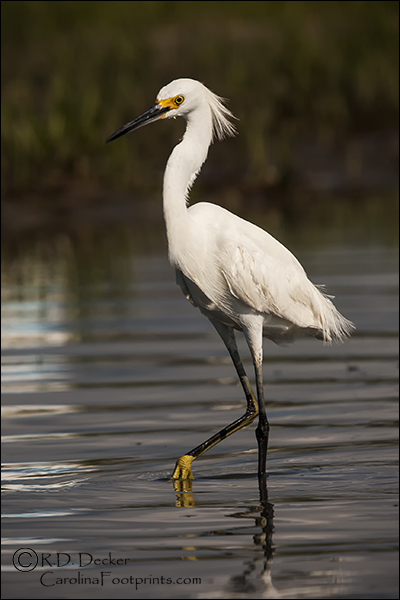 Presented in PDF format the book consists of five chapters: Choosing a Kayak for Photography; Gearing Up for Kayak Photography; Camera Equipment Considerations; Making Useable Photos from a Bouncing Little Boat; Finding and Approaching Wildlife. Concise and direct, there is a lot of useful information packed into 20 full-sized pages for only $4.99.